Jesus and Mary Magdalene might have been married, or so says the Gospel of Philip. Sure, it's the basic plot of The Da Vinci Code (the thriller also wraps in conspiracy shibboleths like Opus Dei and the Knights Templar for good measure)  but the theory finds its basis in writings from the Gnostic Gospels, which were discovered in 1945 and whose authenticity religious experts still dispute. 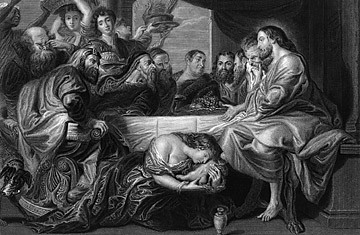 In the Gospel of Philip, Mary Magdalene, who is referred to as Jesus' koinonos, a Greek term for "companion" or "partner," is depicted as being closer to Jesus than any other apostle.